There is après-ski and then there is après-ski. 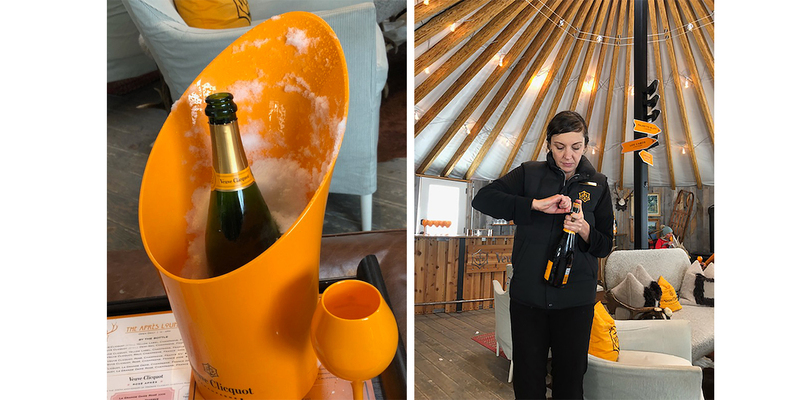 Leave it to champagne makers Veuve Clicquot to design the ultimate yurt at the Montage Hotel in Park City, Utah, where my family and I were thrilled to park our skis for a midday toast. 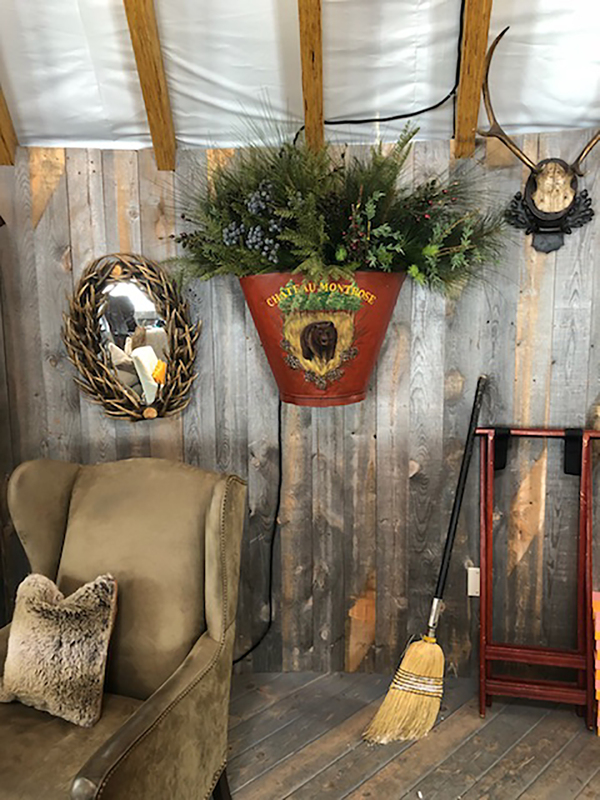 For those of you who may not know, yurts are round, portable structures with a collapsible wood frame and fabric coverings. They have been around for centuries (nomadic herdsmen used them for dwellings in Central Asia), though I'm guessing they weren’t anything like this one. 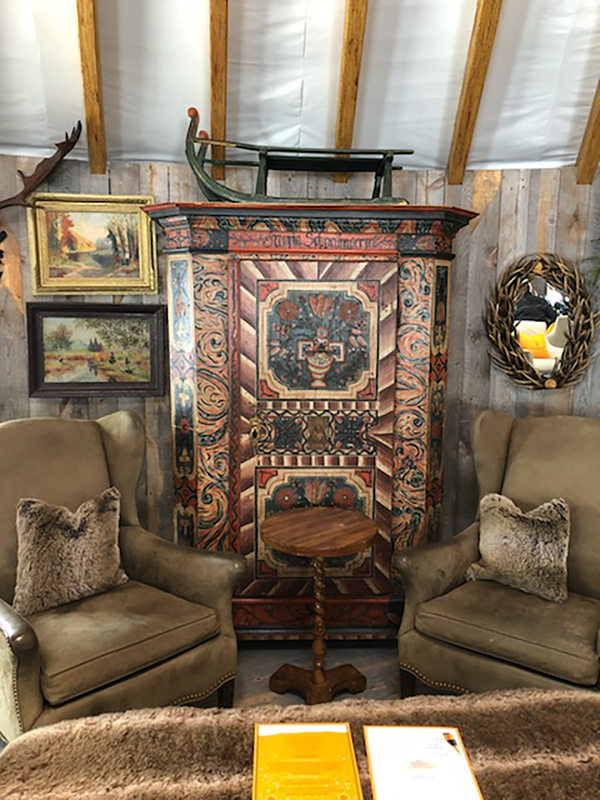 Located at the base of the Deer Valley ski slopes, The Après Lounge represents glamping at its finest—it’s decked out with Gorsuch accents and furs, faux fireplaces and furnishings from a French chalet. And, of course, corks are popping and champagne is flowing. 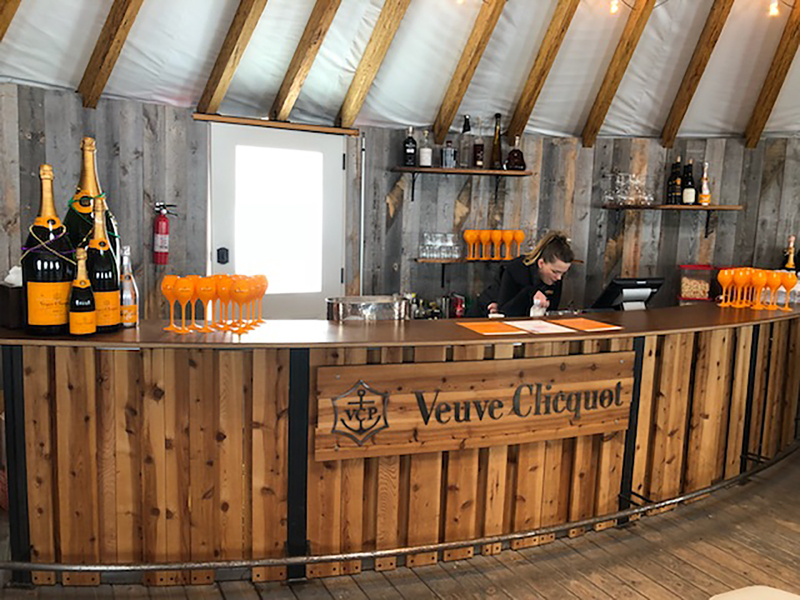 Just when we thought the afternoon couldn’t get any finer, Dominique Demarville, Veuve Clicquot Ponsardin’s chef de cave stopped in. Was I in Reims? 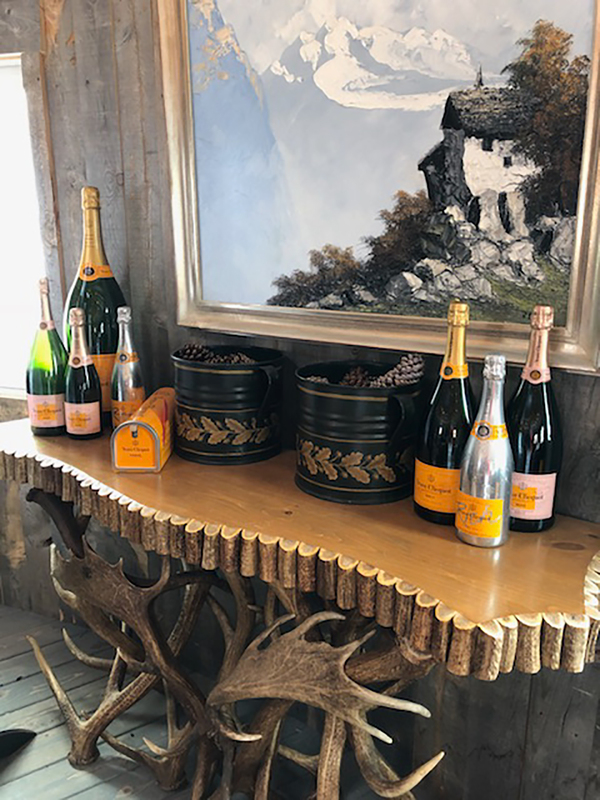 The connoisseur of cuvee told us the story of Madame Clicquot, who, when widowed at age 27, took over her husband’s wine business and in doing so, forever changed the champagne industry. Fascinating! 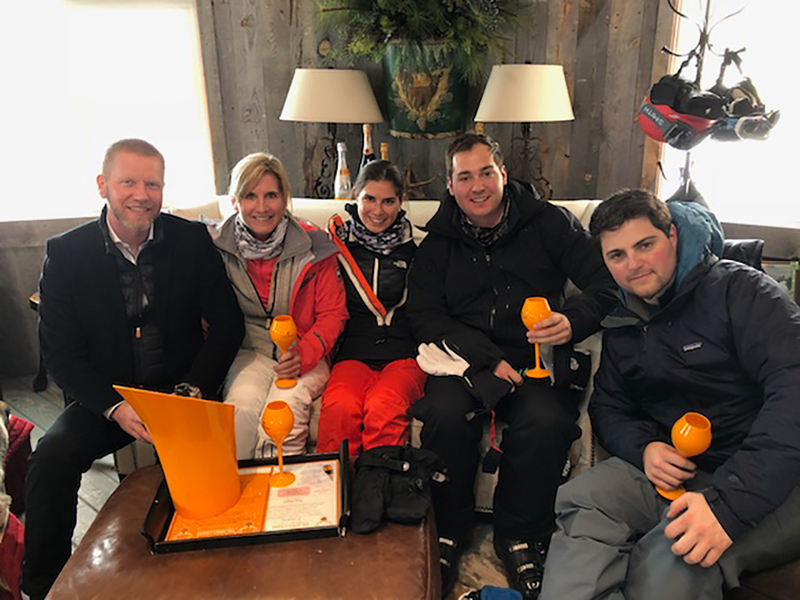 Hot toddies, you have a lot to live up to, because between our flutes of Yellow Label, the mountain views and an impromptu wine history lesson by one of the world’s leading authorities, this ski warm-up session quickly became a special occasion.